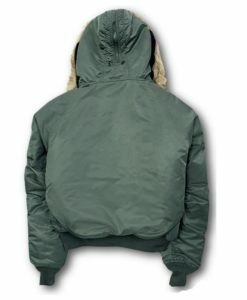 At last, a lightweight jacket for Vietnam Veterans! The Alpha L-2B Blood Chit Lightweight Flight Jacket combines the popular blood chit and the lightweight, slim-fit L-2B bomber jacket. 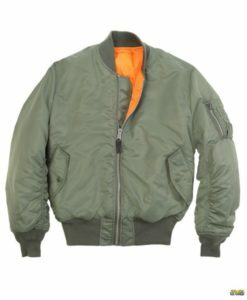 The result of this combination is a fully-reversible flight jacket that pays tribute to a piece of military history. The blood chit was used by servicemen who were separated from their squadron or were shot down as a way to communicate with foreign troops about their safe return to U.S. forces. Import. Two lower flap pockets with snap closures. Product Care: Machine wash cold with like colors. Use non-chlorine bleach if needed. Tumble dry low. Do not iron or dry clean.